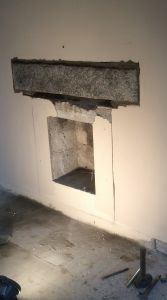 Basic stove installations require a hearth, a stove and a flue system. We like to listen. From start to finish – and then afterwards. We want you to be 100% satisfied and we want return custom – that has been part of our mission and we are achieving it. We believe in great customer service and aftersales care. We can guide you. 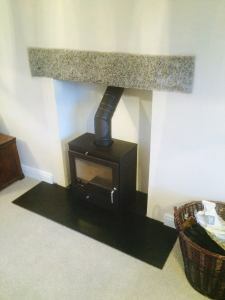 There are many building regulations that apply to stove installations. We know what they are and we will provide you with a variety of available options ensuring you get what you want. Part of our job is to make it look fantastic. Another part is to ensure it remains looking fantastic through our aftercare service. We have the experience. We have fitted hundreds of different stoves in hundreds of different settings, public and private, big and small. We know what we are doing and how to get it right. We have overcome countless problems with successful solutions. We don’t take short cuts. We rely on quality kit and solid techniques. We value your trust. All our stove installations are HETAS registered. Our HETAS engineer will oversee the whole installation ensuring building regulations are used as guidance. We ensure your stove and flue will be safe and effective. Our public liability insurance of £2 million is there as a safeguard. We are proud to say we have never had to use it. We like to leave a property better than when we arrive. 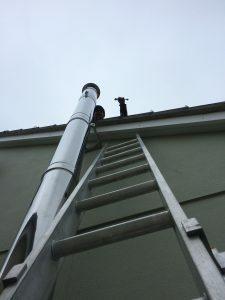 There are two flue systems we use. One is a flexible flue liner and the other a rigid twin wall flue. 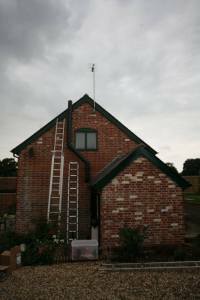 Using these 2 flue systems we can perform 4 types of installations. If you decide to go ahead with an installation, it is advised that you inform your neighbours and gain their consent, especially if you share a wall with them (as per the “party wall act”). Unless your property is listed, you will not need planning permission. If you don’t own the property it is also advised that you consult your landlord. If you accept a Blazing Burners installation we request that a deposit covering all materials is paid. On completion the labour for the works is invoiced. Prior to your installation, we will email you our pre-works requirement document. 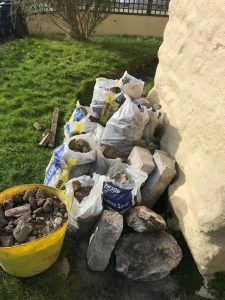 Essentially it requests that we have access to park our large van and that the room where the stove will be fitted is cleared – we can move any large objects (sofas, tables, etc.). We provide our own dust sheets and will have the room completely prepared. We use lots of kit in the process of fitting your stove and we try to keep everything orderly and tidy. 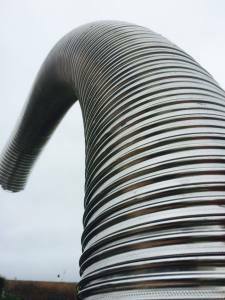 We will supply all of the materials and flue. Our van is loaded will various flue components – that we know fit our flues. This allows us to complete the work in the allotted time. Our materials have been well researched and have been tested extensively by our installations. We only use the best. 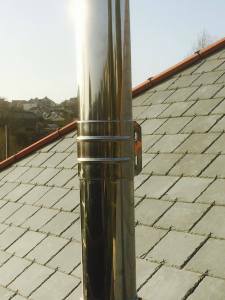 Once installed, we don’t want to return and waste anyone’s time, simply because the flue is causing problems. Our warranties are based upon the quality of the materials we use. For all these reasons, we will not perform installations using flue and materials supplied by a customer. Two of us will perform the work and if you want to be there to see how we do it, ask questions and even make us a brew, we welcome it. In fact it’s a good idea if you can be at hand (either in person or by the phone) in case we need to discuss anything with you that we come across. If you are present, all we ask is that you are aware that we have a lot to get through – and as a result we rarely stop. 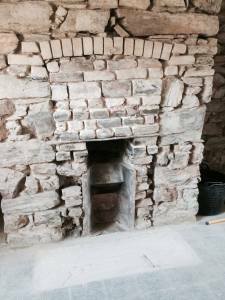 If fireplace modifications are required, these are performed beforehand. We are happy to let you perform this work providing two simple requests are followed. Building regulations must be followed. The works must be performed in such a way that allows the installation to occur with as much ease as possible. We know installations. 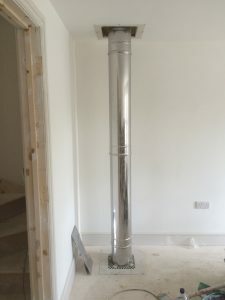 We know how to make an installation work and what is best for the stove and flue to work most effectively. 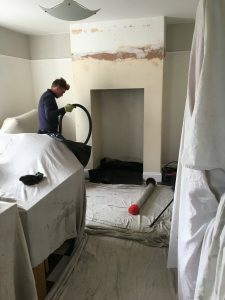 Therefore if you intend to perform any remedial work yourself, we must be consulted to ensure the work helps and does not hinder the installation process. We offer bundles of free advice on this. Do it once and do it right. 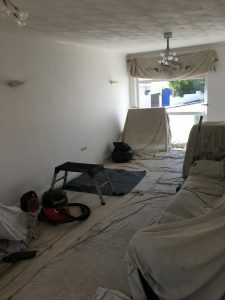 We have had DIY enthusiasts perform excellent work following our simple guidance. 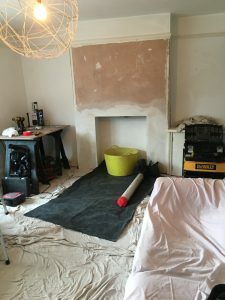 Conversely we have had professional tradespeople make a right hash of a fireplace because they didn’t consult us beforehand! If in doubt, please just ask and we’ll be happy to provide as much information as you require. On the other hand, if you want Blazing Burners to do all the work, we’ll be able to give you many options tailored to your needs and desires to get what you want for whatever budget you have. We can perform as much or as little as you want us to do. 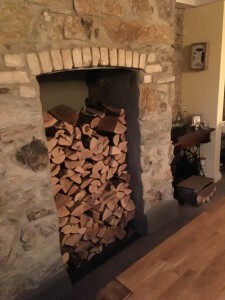 We have remodelled countless fireplaces, hearths, built in log stores and surrounds, ensuring our customers are happy and the stove and fireplace you have chosen is fit for your specific purpose. Click here for more information. During the actual installation, the stove is unpacked, checked over, taken apart and set up. A notice plate will be fixed inside your consumer unit and a Carbon Monoxide (CO) alarm will be correctly fitted (you will be given choices of various appropriate locations). 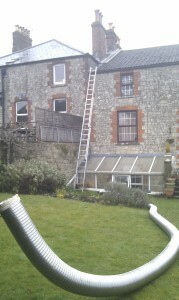 Whilst we are on your roof, we will take note of the condition of your roof, tiles, lead work, chimney stack and pots. If any of these components need addressing we will inform you and provide video evidence so that you can make informed decisions. If a simple fix can be achieved whilst we have access, more often than not, we will do it. For example if your pot is unstable because the mortar holding it in place has failed, we will re-flaunch it free of charge. For the sake of half and hour and some inexpensive materials, we think it is worth it, as the integrity of your flue is not compromised. On the rare occasion, that your chimney pot is damaged or cracked and needs replacing, we will video this and replace it at a small charge. 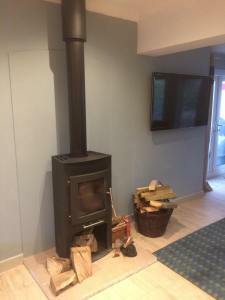 On completion of each installation we will test and then commission the stove. 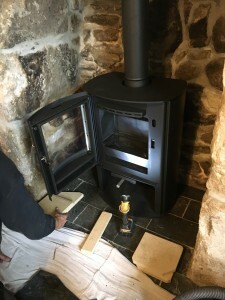 We will check the draw of the stove and perform a smoke test to it using a smoke pellet after having heated up the flue for at least 10 minutes. We will demonstrate how the stove works, explain what fuel you should be using and how to use this fuel effectively including starting a fire, refuelling a fire and putting your fire out. All rubble and rubbish will be removed and your property will be left clean. 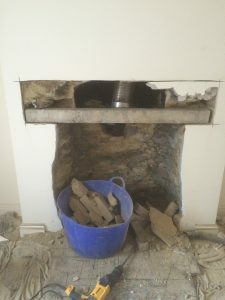 The amount of rubble that comes out of a standard fireplace can easily fill up a 1 tonne dumpy bag! Your certificate of compliance will be completed online through our login on the HETAS website. Although it is effective immediately, your copy will be with you within 4 weeks. A closure email will be sent confirming this and offering further advice – most of which will have been covered on the handover of your new stove and installation. We will also supply you with information on sweeping and servicing too.